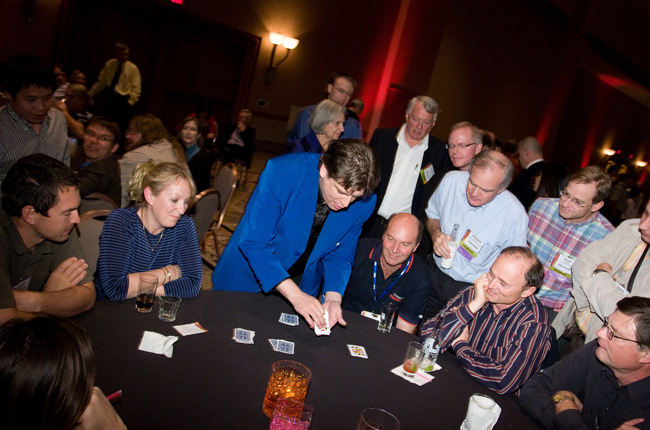 Magic is a performing art that entertains audiences by staging tricks or creating illusions of seemingly impossible or supernatural feats using natural means. 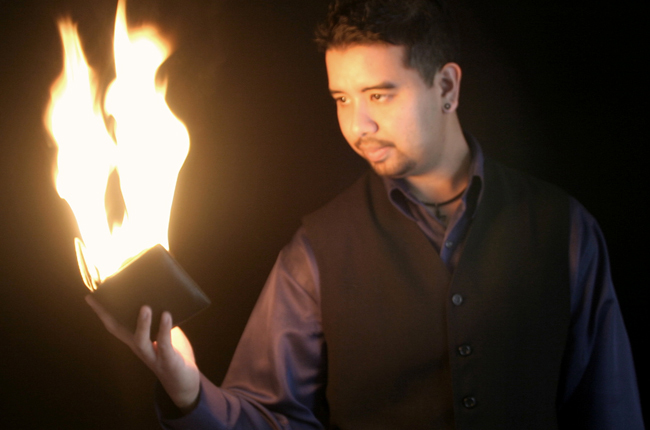 These feats are called magic tricks, effects, or illusions. 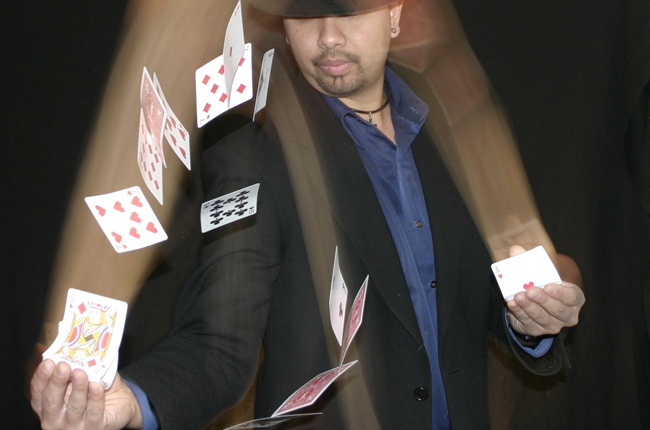 One who performs such illusions is called a magician or an illusionist. 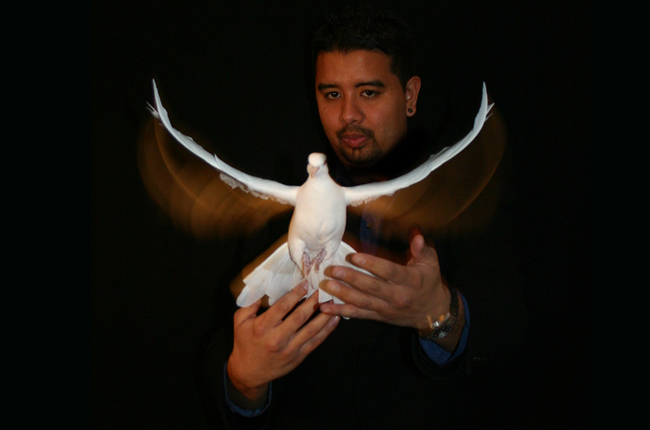 Some performers may also be referred to by names reflecting the type of magical effects they present, such as prestidigitators, conjurors, mentalists, or escape artists. 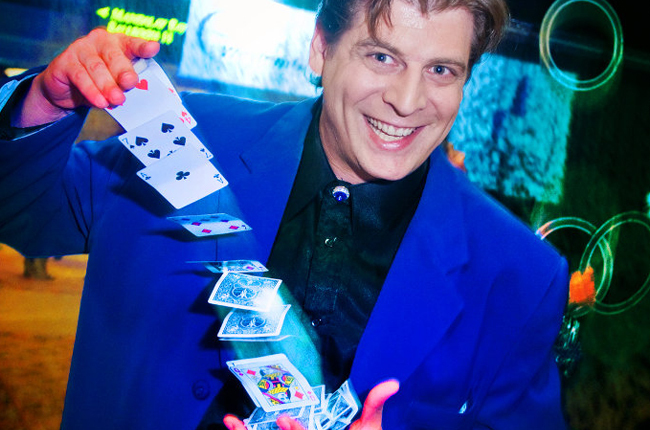 Micro magic (also known as close-up magic or table magic) is performed with the audience close to the magician, sometimes even one-on-one. 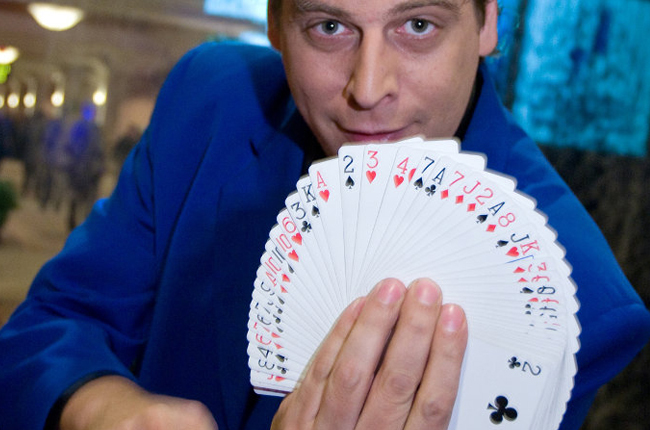 It usually makes use of everyday items as props, such as cards, coins, and seemingly 'impromptu' effects by using their very skillful slight of hands. This may be called "table magic".